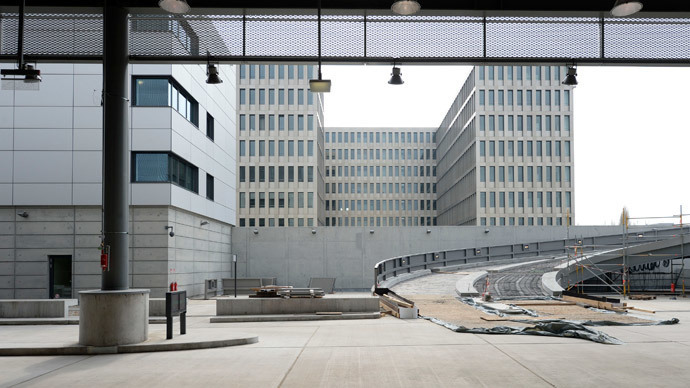 The new HQ of Germany's Federal Intelligence Service (BND), one of the “most guarded” spots in the country, has suffered extensive flooding after thieves stole taps and caused a deluge. The incident was quickly dubbed Germany’s “Watergate”. The burglars got into the building, which is under construction, unnoticed and the incident was first discovered on Tuesday when staff saw the flooding. The raiders made off with taps from bathrooms on the fourth, fifth and sixth floors in a passageway leading to the main part of the complex. This caused a massive leak that spread over several floors and also saturated cable and ventilation shafts. “Since the pipes were under pressure, water got through the false ceilings, and destroyed doors, electrical wires and safety features,” a police spokesman told the Bild newspaper, as cited by the Telegraph. The police have started an investigation, but no signs of a break-in were found, despite the fact the site is guarded by a private company and equipped with numerous CCTV cameras. According to the Frankfurter Allgemeine newspaper, "It’s Germany's most closely guarded building site." However, the thieves managed to get into the building and leave it without any problem, which caused a torrent of comment in social networks. The incident has been dubbed “Watergate”, recalling the scandal in the US in 1974, which resulted in President Nixon’s impeachment. "If taps can be removed without anyone noticing, you wonder what can be installed without anyone noticing?" Konstantin von Notz, an MP in the German Bundestag, said as cited by the BBC. The BND didn’t comment, with the incident being confirmed by a spokesperson for the construction agency. Repairs will cost millions of euros and the BND hasn’t even moved into its new HQ yet. The opening of the building, which has so far cost €900 million, according to the Telegraph, has been delayed several times since construction started in 2006. The most recently forecasted completion date, the end of 2016, was already in doubt before the incident due to technical problems. The BND will move over 3,000 employees to the capital. The current HQ is in Pullach, a municipality of Munich. In 2011, the BND reported the blueprints of the new HQ had gone missing, but said there was no threat to the security of the building and the organization.